The 55 Alive! Ministry exists to help those in mid-life and beyond become all they can be in Christ. Our goal is to support them and to encourage each person to THRIVE – not just survive! • Christ-centered activities addressing the spiritual, educational, and social needs through Sunday School, Livewires, special events, retreats, conferences, and other special times. • Help for Forerunners to live to their full potential to the glory of God. • Help in understanding salvation in Christ and being productive servants of Jesus. • Opportunities for service, a community of friends, and a place for fellowship. Periodically we have informative workshops on Sunday evenings for all those from mid-life and beyond to discuss the challenging issues of aging and how adults in their 40s- 60s talk with their parents about those sometimes touchy, delicate topics. Some things that have been discussed: When do I give up the keys to the car; Preparation for the Inevitable; Is It Alzheimer’s or Something Else; Financial Planning for Seniors, and The Caregivers Survival Kit. See the Events page for the next scheduled Elephant Issues! 2TOM is an acronym for “2nd Tuesday of the Month” which is when 2TOM meets. Brookdale Senior Living sponsors this meeting, providing programs geared for the special needs of Senior Adults followed by a wonderful free meal. It starts at Noon! See the Events page for the next scheduled 2TOM! This historic group has been a part of the ministry at BBC for over 30 years and it is comprised of people from our church and from the community. They have a special program each month which is followed by a catered meal ($7 per person). LiveWires is focused on our retired people. 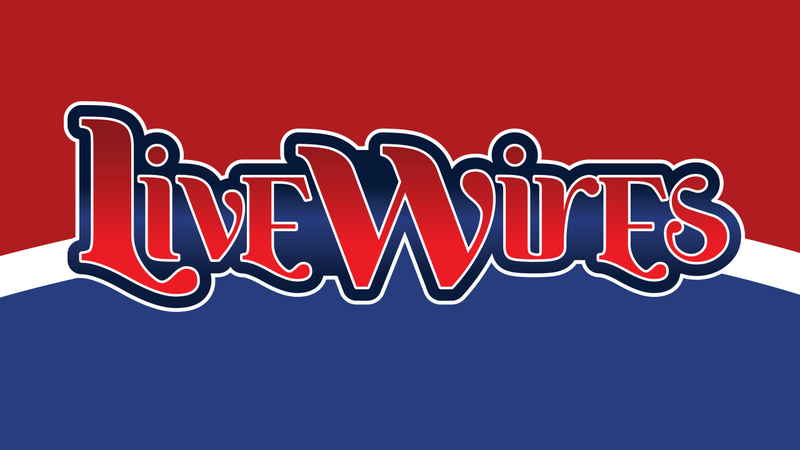 See the Events page for the next scheduled Livewires. This event happens most months! Gale Jones picks an area restaurant and any ladies who want to talk and fellowship in a relaxing, non-structured environment are invited. You need to sign up at the 55 Alive! Kiosk so that space can be reserved. See the Events page for the next scheduled Gale & The Girls! Every month or so our 55 Alive! group will go to a local destination just for fun. Included destinations have been: The IMAX Theater; the Dallas Arboretum; Touring Downtown on Mollie the Trolley; Granbury: Waco with Dr. Caldwell. Our group has gone to Branson, Tyler, Glorieta, New England, and many other locations. We are excited about other trips in the future! Our church family has members who are not physically able to attend worship services and other church activities. The constantly increasing number of members needing ministry at home involves several pastoral ministry volunteers working side-by-side with our full-time staff. We seek to minister to each one spiritually and in practical, helpful ways. Volunteers visit their assigned homebound members periodically. Other volunteers prepare mailings to each homebound member that includes the HighPoint Midweek Update and other publications. If you have a loved one who is homebound and a member of our church and you would like to connect them with our ministry, please fill out the form below, or contact hilary.wheat@birchman.org or 817.244.6590.